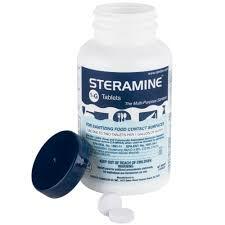 This powdered compound cleans in hot-cold, hard or soft water and is concentrated for quick cleaning. 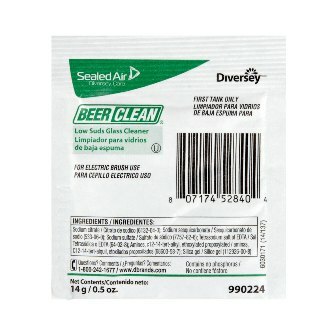 Minimal sudsing, odorless detergent provides excellent rinsing results that reduce watermarks. 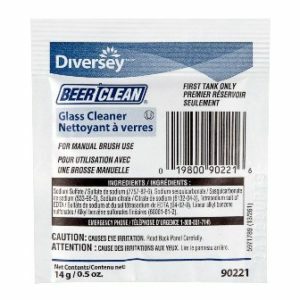 Beer Clean glass cleaner provides thoroughly cleaned glassware with no odor, aftertaste, or residue, leaving your customers with a better tasting product. Clean beer glasses deliver better-looking beer with bigger heads for higher profits. 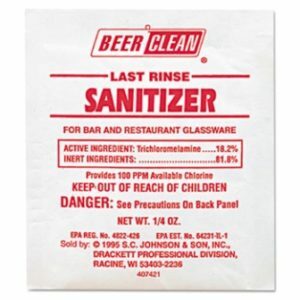 This glass cleaner is for use with either manual or electric 3-sink systems and is perfect for behind the counter drink-ware cleaning systems.